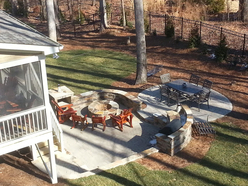 Having an outdoor room extends your living space well beyond the confines of a traditional backyard. 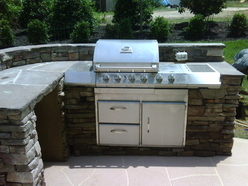 Outdoor Kitchens - sinks, bars, refrigerators, storage areas, all you need to make a stunning outdoor kitchen that is the centerpiece of your backyard. 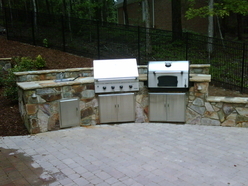 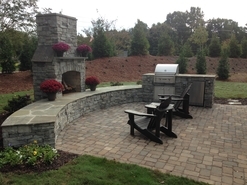 Seating Walls - retaining seating walls, seating around firepits, seating around patios. 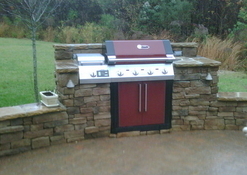 Grill Enclosures - Custom built grill enclosures with storage and prep space. 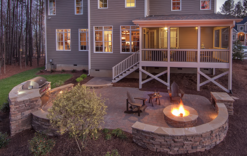 Custom Decking - Custom designed decks using traditional pressure treated work or hassle-free composite decking and stylish railings. 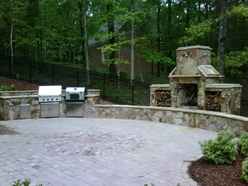 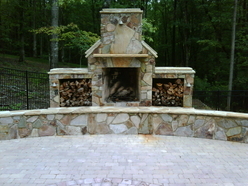 Firepits and Fireplaces - from cozy firepits to lavish outdoor fireplaces with pizza ovens we can build your dream fire feature. 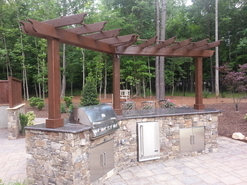 Pergolas - Arbors for all the spaces outside your home including outdoor kitchen, walkways, entrances and passageways. 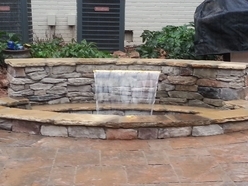 Water Features - Waterfall features, koi ponds, container water garden. 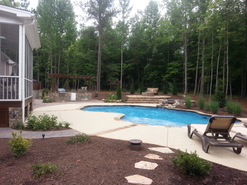 Custom Children Play sets - Swings, jungle gyms, climb walls. 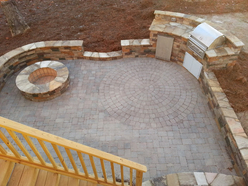 © 2016- Chatham Landscapes, Inc. -- We respect your privacy and will not share or misuse your personal information.